If a tree falls in the woods and nobody is there to hear it, does it make a sound? If a person makes calls but doesn't have a Facebook account, are they even really a person? Yes, of course they are, but it just makes life easier when you're part of the world's biggest social network, as proven with Facebook's latest application, Hello - Caller ID & Blocking. 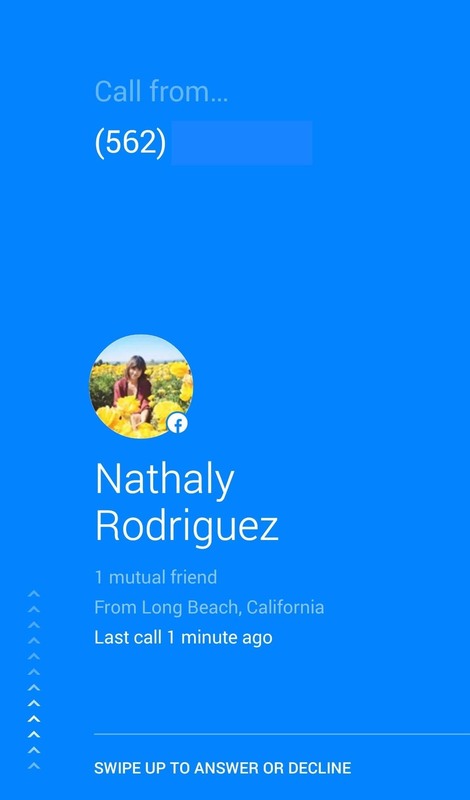 Hello is essentially Facebook's replacement for your contacts and dialer app, combining Facebook information with contact info on your phone. The combination of your contacts and Facebook is a no-brainer that allows for always-updated info, including profile pictures, birthdays, and more. 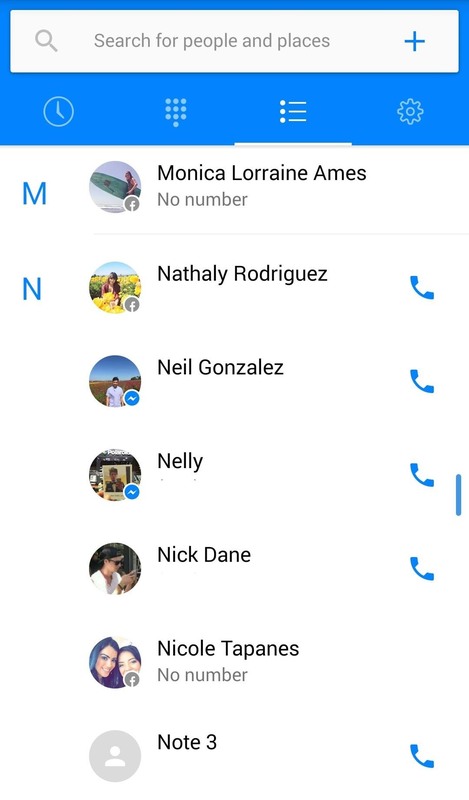 And as if this wasn't convenient enough, allowing you to easily search through Facebook friends and contacts without switching apps, you can also call and text for free through the app's Messenger integration. Because the app momentarily replaces your incoming call screen, which is something iOS can't do, it's only available for Android users, so get started and install Hello - Caller ID & Blocking from the Google Play Store. Facebook doesn't list Android version requirements for Hello, opting instead to state that it "varies with device." If you are unable to search for or install the app from the Google Play Store, you can sideload it using this link for APKMirror. I hate to admit it, but Facebook knows how to make apps easy enough for anyone to use, that includes my technologically-challenged parents. As soon as you launch the app, you're greeted with simple steps to get everything set up. 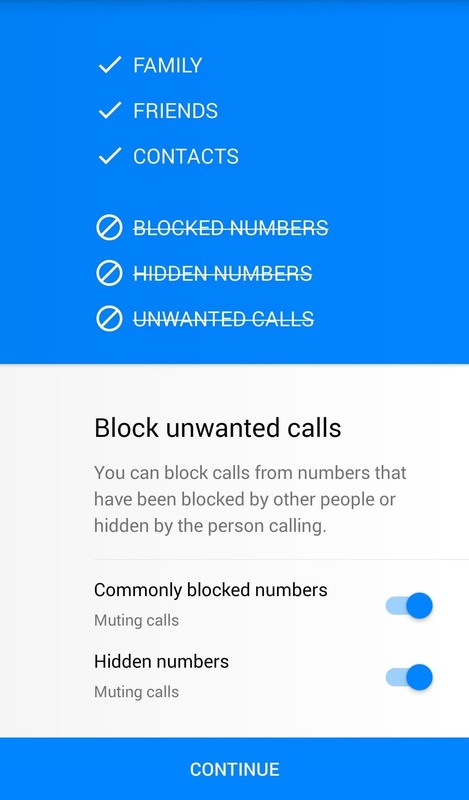 You'll have options to show both saved and new numbers, as well as mute commonly blocked numbers—those that have been blocked by lots of other people—as well as hidden numbers. With app configuration taken care of, start using Hello to replace your dialer and contacts app. When you receive calls, you'll be armed with Facebook information. 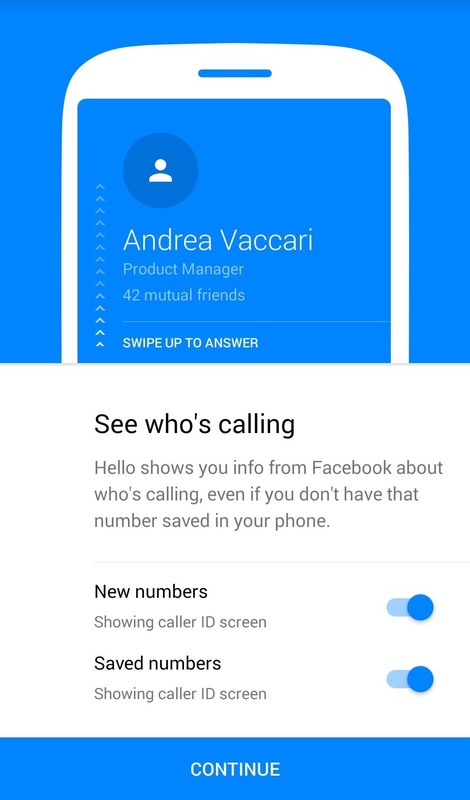 Calls from unsaved numbers will have data pulled to provide you information, and calls from Facebook friends will have contact pictures, birthdays, and other relevant data clearly visible. 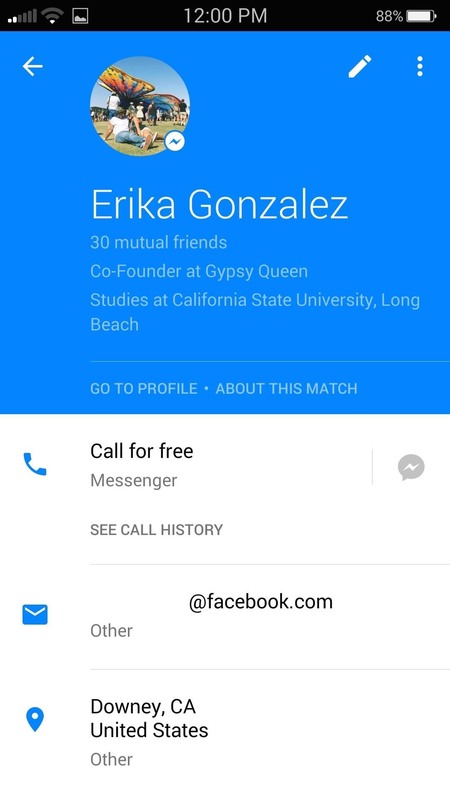 You can even open Facebook profiles directly from within the app. Much like Google's dialer, you can search for people and businesses directly from within the app, then have information like phone number and address show. If a business has a Facebook, information from that will also be shown. Let's just state the obvious and inevitable: Facebook will eventually run everything social in our lives, which is evidentially very convenient. Place Hello in your app dock, try it out, and send us your thoughts. Very disappointed that it cannot be installed on my Galaxy Note3 SM-N900. Very poor. Have you tried sideloading the app? Here's a link.